Are you seeking to become a security guard in Canada? We have you covered! You need our government-approved course for Canada. This course is the first step to take. 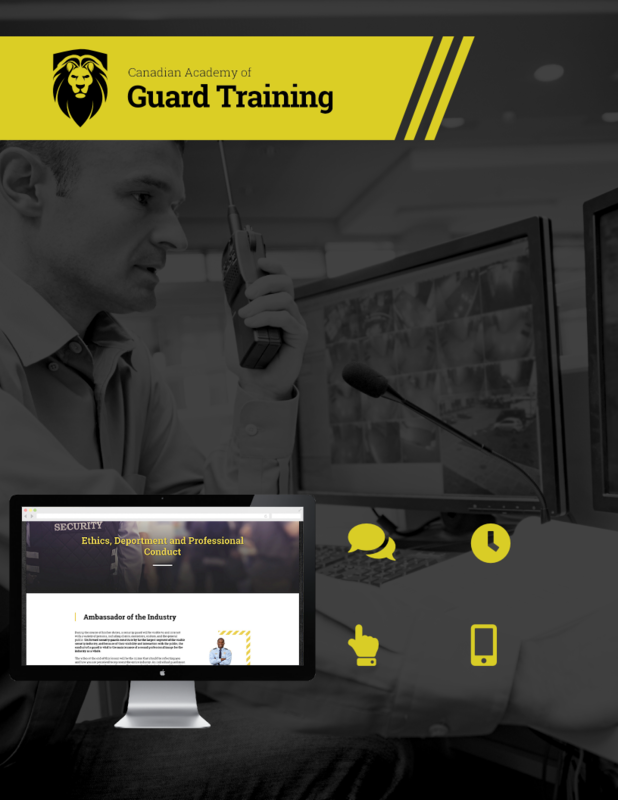 Everything you need to know to be prepared to work as a security guard is covered in this course. Train anytime, anywhere, 24/7 access on computer, phone or tablet.